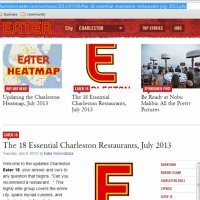 A couple of weeks ago, Charleston was treated to a double dose of Louisville Chef Edward Lee, which resulted in plenty of smiles, some great tips about techniques, and of course, some seriously outstanding food. 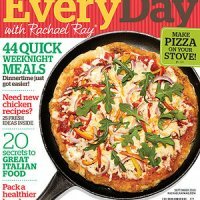 Every Day with Rachel Ray magazine features Chef Ken Vedrinski’s recipe. Ingredients: 1 pound tagliolini (or tagliatelle), 2 tablespoons EVOO, 6 cloves garlic, thinly sliced, 12 ounces bay scallops, rinsed, cleaned and patted dry, 1 cup dry white wine, 1 teaspoon crushed red pepper, 2 pounds tomatoes, finely chopped, 4 tablespoons butter, 1/2 cup chopped fresh basil, Directions: Cook pasta until al dente. meanwhile, in a large skillet over medium, heat EVOO. Add garlic; cook 1 minute. Add scallops; cook 2 minutes, then transfer to a bowl. Add wine and crushed red pepper to skillet; bring to a boil. Cook until liquid reduces by three- quarters. Add tomatoes and butter; cook until tomatoes are hot. Add pasta and scallops; cook until scallops are heated through. Toss in basil; season. 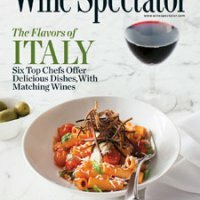 Chef Ken Vedrinski of Trattoria Lucca and Coda del Pesce will be profiled in the September issue of Wine Spectator magazine in a piece on the country’s top Italian chefs. He joins other notables like Michael White (Marea, New York), Dena Marino (MC Kitchen, Miami), Celestino Drago (Drago Centro, Los Angeles), Jonathan Benno (Lincoln Ristorante, New York), and Matthew Accarrino (SPQR, San Francisco). 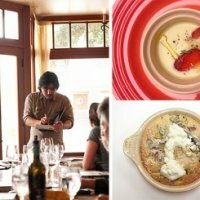 In the piece, he shares a recipe and a wine pairing. 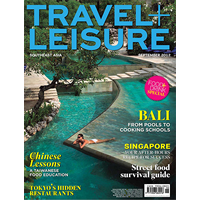 Keep an eye out for the issue, which should hit newstands this week. 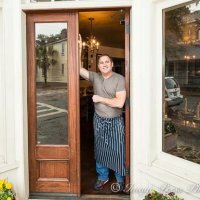 Ken Vedrinski’s Trattoria Lucca is home to some of the freshest and best Italian cuisine in Charleston. Vedrinski, who grew up cooking with his grandmother and traveled extensively in Italy to hone his craft, rolls out the fresh pastas daily at Trattoria Lucca. Passion. To be passionate about what you do is reflected in your work, your outlook on life, and if you are a chef, in your food. 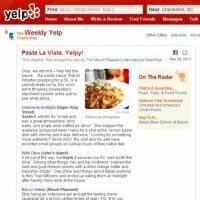 Food created out of passion is good food and when many people (including other chefs) in Charleston, South Carolina are seeking really good food, they book a table at Trattoria Lucca. 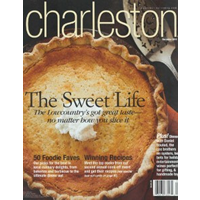 When you think of Charleston dining, the area between King Street and East Bay offers some of the finest restaurants in the Untied States. 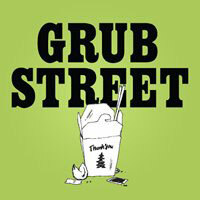 A few years ago we were directed off the usual path to dine with Chef Ken Vedrinski in an area of town that was very unfamiliar. Pasta can often be a filling feast, but Tommy V‘s tummy can tango – “the food was seriously flavorful but still light.” He and a guest decided on “the gnudi, bucatini, and the shells with braised veal… all tasty.” Don’t disappoint Mama by being late for Monday Family Supper. Chef Ken Vedrinski puts together a four-course prix fixe menu served at a communal table for $38. At Trattoria Lucca, which opened in Charleston, SC, in 2008, that means dishes that showcase fresh local seafood, from the crudo of grouper to homemade ricotta cavatelli with flounder in a shellfish broth. For a truly special treat, time your visit to the Monday evening family supper, a communal seating during which chef Ken Vedrinski serves a four-course prix fixe menu for $38. Even though Ken Vedrinski’s Lucca is named after a town in Tuscany, this dish of fresh snails, creamy fresh Cresenza cheese, and a wild-onion broth wears its American pedigree proudly. Chef Ken Vedrinski’s Family Supper, now on Monday nights, is the ticket. Sit down at a communal table and share the four set courses ($36) of antipasti, pasta, entrée, and dolce and cross your fingers that he’ll be serving the to-die-for crudo of grouper.